I am going to slightly change the format of the blog. I am hoping to make more daily posts, sharing my musings from my everyday life, no matter how big or how small, or random. My goal for September is to journal more. Why not share some of those thoughts here? I hope to focus on gratitude, stating clear intentions, and emotional release. Hopefully, some of these thoughts will inspire you as well. This post contains affiliate links. I love to share my favorite finds, and all opinions are always mine. I also hope to post more often to Instagram. This is probably the most enjoyable part about blogging. On Sunday, I posted about the moon phases. Each month, Moon Body Soul posts a beautiful moon phase image. (They also feature very pretty crystals and bath products I lust over quite often - and I don’t even take baths.) I also use a free app called The Moon to track the phases each day. Within the last couple of years, I have noticed a difference in my energy and focus as related to the moon phases. Let’s just say, my house is always clean around a full moon. I accomplish more in the days leading up to a full moon than I do all other days combined. It’s an amazing thing. In my research, I came across this book by Ezzie Spencer. 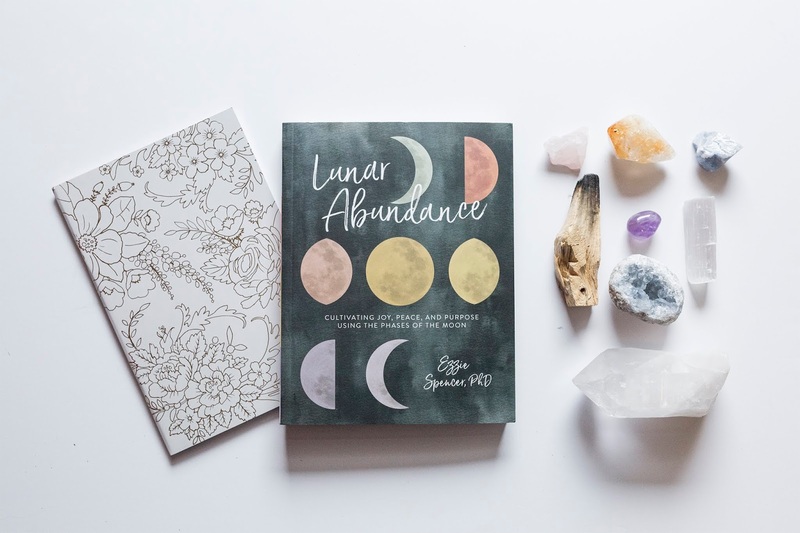 She is an expert on the phases of the moon phases and how it relates to our energy and intentions. I enjoy following her on Instagram, and finally decided to order the book, Lunar Abundance, after holding out for months. I can’t wait to review it for you…or, order yours and follow along on this journey with me! So, here is to being more intentional! I know this is such a buzz phrase for 2018, but it is so worthwhile. Often, I have found myself wondering "what if." Now is the time to decide which of those "what ifs" I want to focus on and nurture them to fruition. I love the little things in life, Kansas City (born and raised), traveling, photography and most of all my two adorable Wheaten Terriers! It's a dogs' world around here! My Favorite Musings, with Tami Knight, is a participant in the Amazon Services LLC Associates Program, an affiliate advertising program designed to provide a means for sites to earn advertising fees by advertising and linking to amazon.com. © 2015 My Favorite Musings. Victoria Template designed by Georgia Lou Studios All rights reserved.